Emeritus Professor Gary Martin. FAIM. FACE. Professor Gary Martin is a CEO, Board Director, and international leadership and management commentator. He commenced as CEO and Executive Director of the Australian Institute of Management in Western Australia (AIM WA) at the beginning of 2012. In this role, Gary has overall responsibility for leading all aspects of the Institute’s business which is focussed on building leadership and management capability both in Australia and internationally, and across the corporate, government, not-for-profit and community sectors. He is currently Chair of Telethon Speech and Hearing (TSH) in Perth, Western Australia, and is a former Chair of Study Perth (2008-2011). Prior to his appointment to AIM WA, Gary held several executive level appointments at Murdoch University in Western Australia, including Executive Dean, Pro Vice Chancellor, Deputy Vice Chancellor and Senior Deputy Vice Chancellor. Gary has considerable expertise in leadership and management development. He is a columnist in The Sunday Times and Perth Now where he contributes regular pieces on current and emerging workplace matters including leadership and management, and human resource management topics. 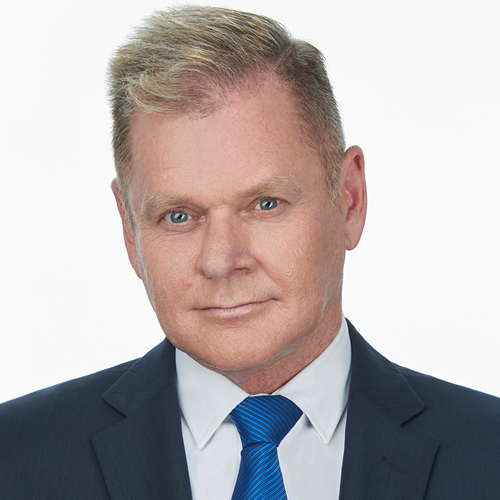 In addition, he promotes thought leadership in the area of leadership and management through regular opinion pieces in newspapers across Australia, and through various social media platforms. A learning and development specialist, Gary has had extensive experience in the design and delivery of learning and development programs in Western Australia and internationally, with both government and non-government clients. He was made a Fellow of the Australian College of Educators in 2015, and is currently an Emeritus Professor of Murdoch University’s School of Management and Governance, and Zhejiang University of Technology, (Zhejiang Province, China), as well as an Honorary Professor at Guangdong University of Business Studies (Guangdong Province, China). Your Workplace Matters: Insights on Current Workplace Trends. Our workplaces are in a constant state of flux. New trends and issues come and go creating challenges for those in management, leadership and human resource roles who are obliged to stay up to date with what appears to be a moving feast. In your workplace, for example, witnessing increased levels of presenteeism where staff are present at work but appear to be “tuned out”? Or have you observed an increase in workplace bullying in your organisation? Has social media changed your recruitment practices? And is your organisation guilty of ghosting – something we only thought happened in the dating scene? And what about those annual performance review processes – are they actually working for you? Have you considered that micromanagement can be a good thing? What about that difficult process of giving feedback to those above you? And do your leaders and managers appear to lack emotional intelligence? The list goes on…. These topics and more will be explored in this presentation which attempts to provide an overview of some of the hot topics in our workplaces. It is rarely blatant and often quite difficult to spot, but it is coming to a workplace near you. Welcome to the not so wonderful world of ageism, where employees – usually over the age of 50 – are passed over for jobs, promotions and training on the grounds of age. Most experts on workplace-based ageism agree the foundation for age-related discrimination is linked to the perception that older workers are technophobic and resistant to change, have lower levels of energy, are unable to learn new skills quickly, and are generally less innovative and creative. For most older workers none of this is true. In fact, many older works demonstrate a range of highly favourable and attractive characteristics, including workplace loyalty, stability, reliability and maturity. This presentation will dispel the myths associated with employing older workers, pinpoint the characteristics of an ageist workplace, and provide an overview of the benefits that older employees can bring to an organisation. When we think of bullying we are often taken back to our school days, when students were preyed upon by what appeared to be lawless social predators. Those who experienced bullying were often glad to see the end of their school days, wrongly assuming it meant the end of being bullied. But unfortunately, that assumption has proven to be wrong for many. They entered the workforce and found a new type of problem – the workplace bully. At a simplistic level, noting that the concept is often complicated, workplace bullying refers to any ongoing workplace behaviour that is threatening or harmful to the extent that it creates a risk to an employee’s health and safety. This presentation explores the concept of workplace bullying, including workplace cyberbullying – its characteristics, its causes and its consequences – and most importantly – its prevention. EVERY workplace has someone like this – super bright but unable to “gel” with the rest of the team. Or a manager who keeps being promoted because they are considered the brightest of their cohort, notwithstanding a lack of key leadership traits such as communication skills, empathy and self-awareness. The best leader has intelligence on both sides of the brain, not just on the left where what we usually refer to as IQ is housed. Emotional intelligence (or EQ) can greatly impact your life and career but the irony is those who most need to develop this “softer” intelligence are usually those who least realise they need it. This presentation highlights the importance of EQ in the modern organisation, will attempt to define the concept, and will assist participants to determine the extent to which they possess emotional intelligence.